Wintertime provides a good opportunity for tree trimming and pruning, and scheduling this landscaping task now helps in many ways. Discover how your local tree trimmer can get your landscape ready for next season by tackling those pruning projects during the dormant winter season. What Happens to the Tree Roots After Stump Removal? The stump removal process eliminates an old stump from your yard, but it will not remove the roots. This can cause some concern, as homeowners wonder whether or not the tree will grow back in time. Find out what happens to the tree roots after stump removal and how your tree services expert can help to ensure your yard stays in pristine condition. Does Tree Removal Damage Your Yard? A beautiful yard requires a substantial investment of time and money. 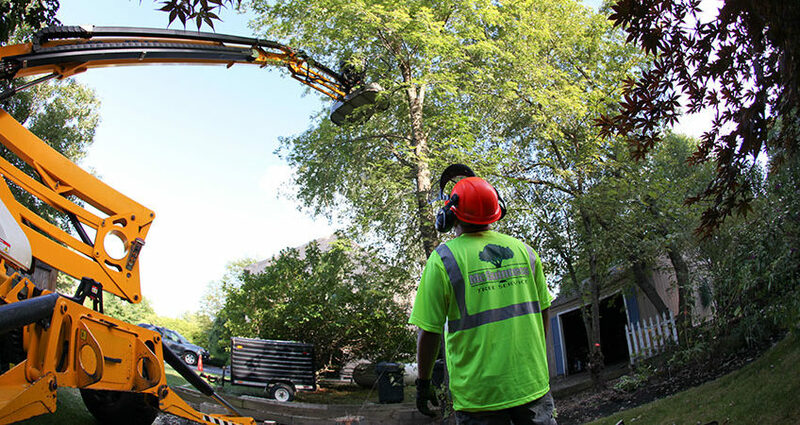 Many homeowners wonder if the tree removal process could damage your landscape, destroying grass and gardens that have been lovingly tended for years. 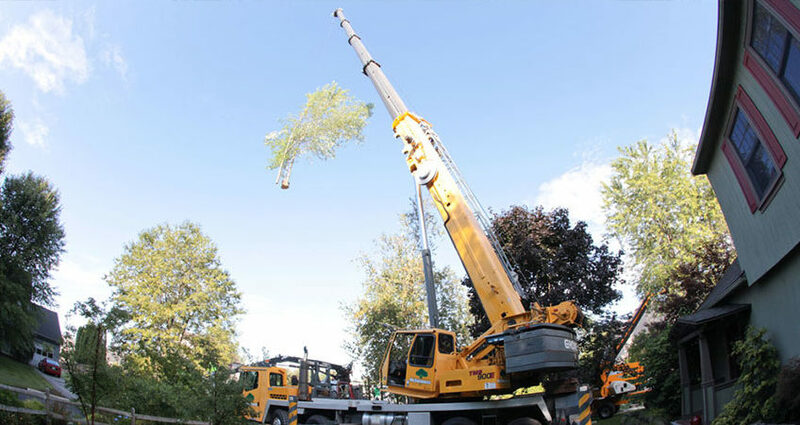 The answer depends on how those homeowners proceed with the project, including when they schedule the removal and who they hire for tree removal services. Does Your New Hampshire Insurance Cover Hazardous Tree Removal? Although home insurance policies differ in coverage, many New Hampshire residents wonder whether or not hazardous tree removal is covered. Winter storms, heavy rains and hurricane-force winds can easily knock down trees on your property, resulting in damage to buildings and structures and increasing the risk of injury. 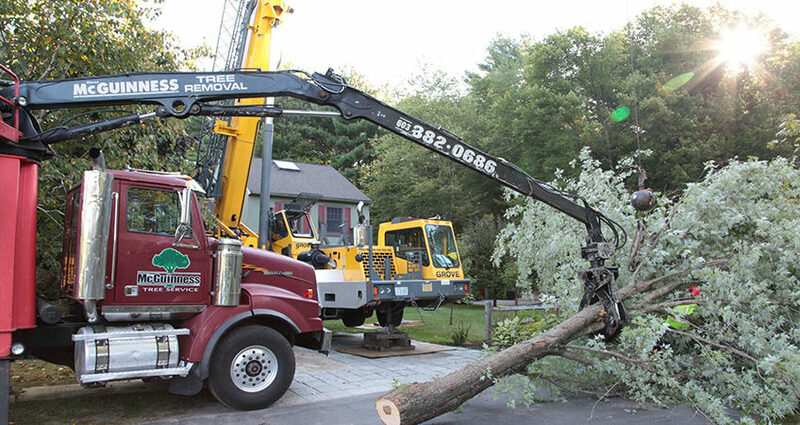 Does your New Hampshire insurance policy cover tree removal, and if so, in what capacity and under what circumstances? 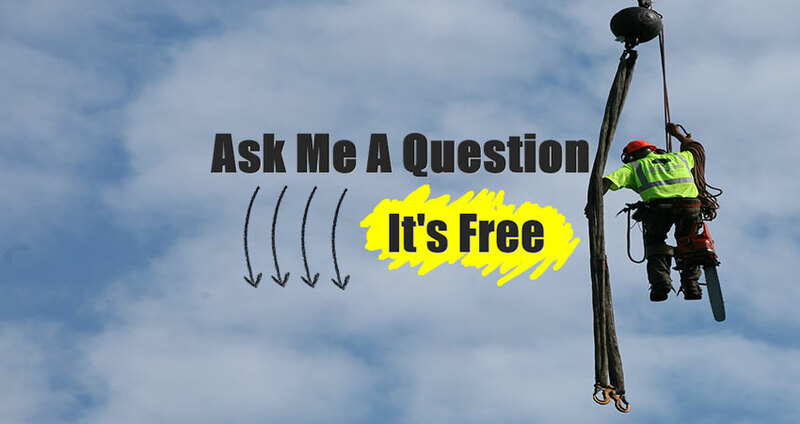 Possibly the most common question tree service companies hear, cost is a hard detail to nail down when considering tree removal. You may look at a decayed, broken or unwanted tree and wonder how much it costs to cut down a tree, but remember that many conditions affect the overall cost. 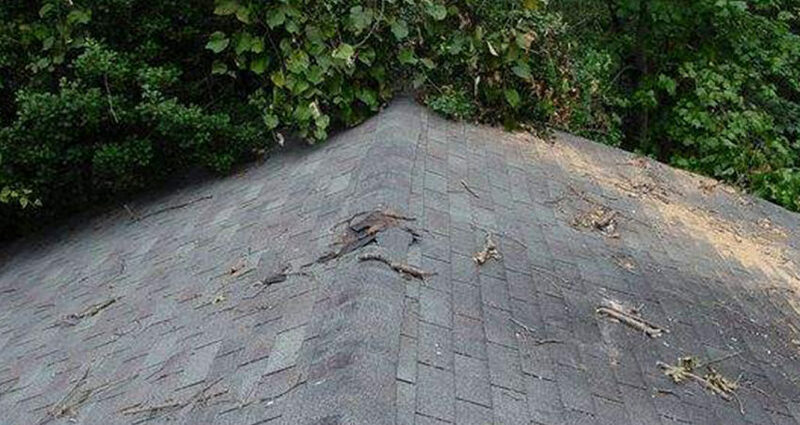 Overhanging branches present a threat to your roof, and could result in expensive repairs or roof replacement. Even branches that do not touch the shingles could be easily weighed down with snow and sleet over the winter months. Take a close look at the trees and shrubs around your home and watch for these potentially dangerous conditions. 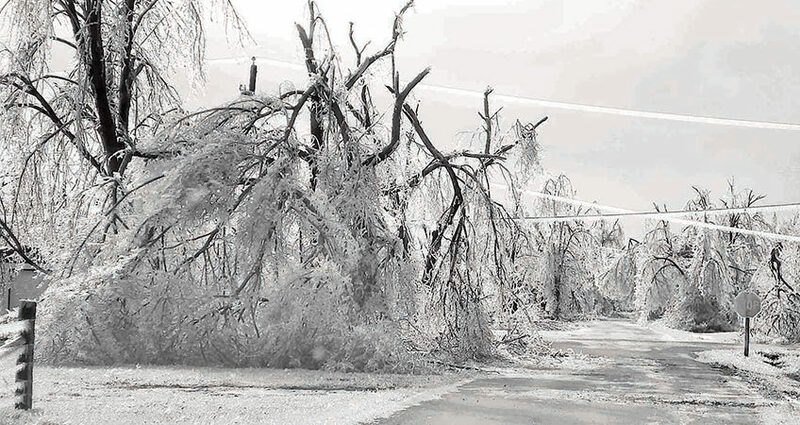 Trees are exposed to all types of weather, from the heat of a New Hampshire summer to blasting winds, heavy rains, layers of snow and sharp sleet. Age and pests also take a toll on tree growth. All of these conditions, along with several others, can result in defects that require hazardous tree removal. Learn what to look for during your regular tree inspections. Homeowners require the services of a professional tree trimmer in various situations, but these three vital steps will help to smooth out this process in every case. 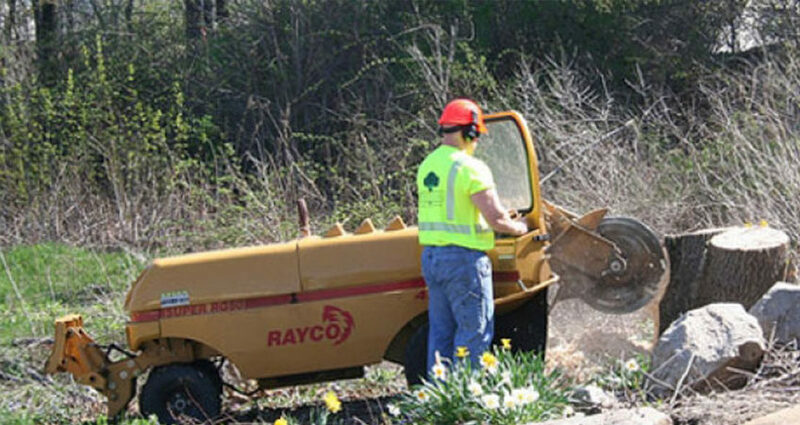 Whether storm damage, disease or overgrowth has triggered the need for tree trimming, preparation makes this a more efficient and affordable job. Large trees are often old trees and can present serious dangers to your home and property. 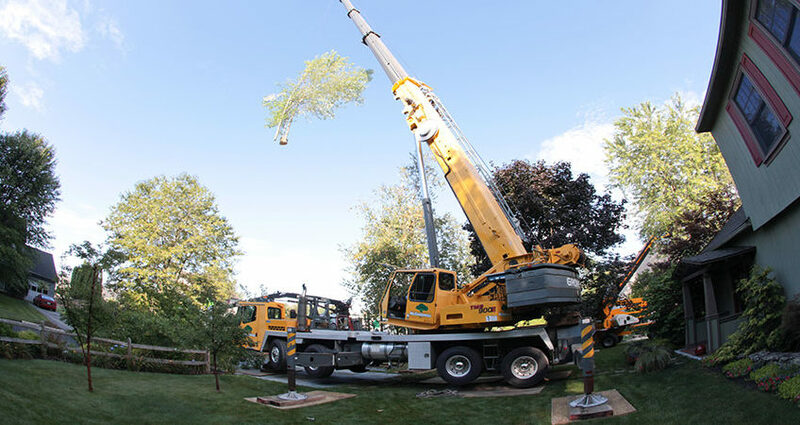 When your larger trees show signs of disease, decay or stress contact a New Hampshire tree service firm and ask about crane removal. Depending on how the contractor handles the process, it can solve your landscaping issue with minimal impact. There are many reasons why homeowners and businesses need to get rid of an unsightly stump. It could detract from the beauty of your property or present a safety risk. Rotting stumps attract unwanted fungi and pests, creating a risk to the balance of your landscape. But when it comes time to tackle this problem the first question people ask is–how much does stump grinding cost? And the answer depends on a wide range of factors.